FYI, this will probably be a pretty half-assed installment of The People’s Albums because 1) I just wanted to get this one out of the way before the all-out post-a-thon that will hopefully be this year’s Shocktober commences, and 2) this album seems pretty uninteresting/inessential considering it’s filled with a bunch of songs we’ve all heard a million times, while also 3) it feels even more uninteresting/inessential when taking into account that most of Simon & Garfunkel’s proper albums are worth listening to instead of some greatest hits comp. 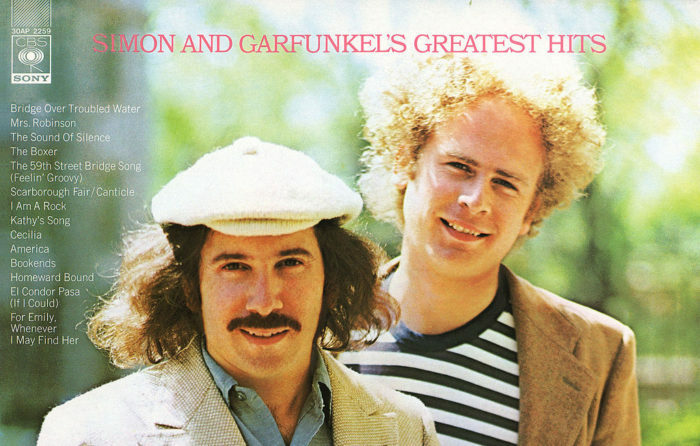 In fact, the most interesting thing about this album is probably it’s cover photo, which apparently was taken during Simon & Garfunkel’s short-lived proto-Gallagher & college mime professor phase. Haven’t done one of these in a long time and maybe I’ll never get a chance again, so here we go: Here’s everything I know about the songs in Rock Band 4, which is out in a couple weeks. The most important, amazing thing that Harmonix has done is respect our commitment to the earlier games. You may have heard that DLC songs and on-disc tracks from the first three games will mostly all come over to the corresponding new consoles (so Xbox 360 goes to Xbox One and PS3 to PS4) and that most old instruments will be made to work on the modern machines too. Even better, songs from the pre-Rock Band 3 era will be remastered to allow vocal harmonies. All of that is amazing and almost certainly makes the game worth picking up just to preserve the value of everything else people like me already bought. But there are a bunch of new songs in this game too. 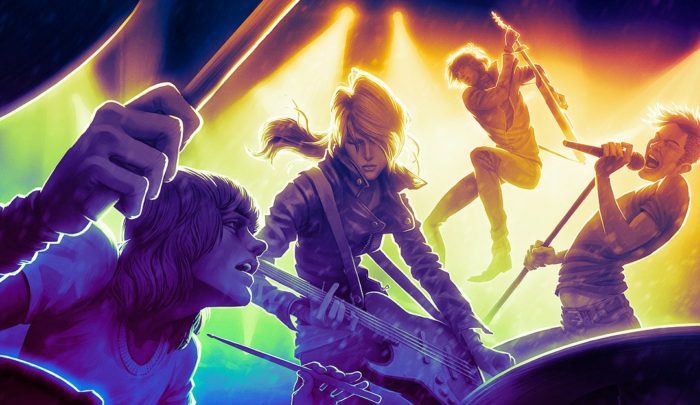 Check out the complete Rock Band 4 soundtrack after the jump. Dan Bejar strikes me as a hard nut to crack, and I’ve got to believe he’d like to keep it that way. 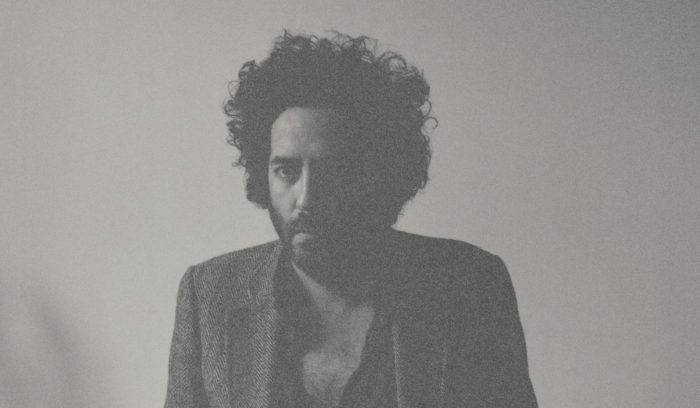 Because I wouldn’t say I’ve done enough digging on his band Destroyer to figure out where exactly this dude is coming from, but I can recognize he has this potent way of writing songs that are both vulnerable and cooly detached enough that they seem to lure you in while also keeping you at a distance. Being that I came to his off-and-on collaborators The New Pornographers a bit late, I also ended up coming to his Destroyer stuff a bit late, and though his shadowy presence in the band does seem like a bit of an odd one in retrospect, I think it makes sense. Bejar does write pop songs after all, it’s just that he has a strange way of constantly challenging which way he wants to interpret these songs. Which sometimes ends up as this sloppily arty brand of indie rock (like his earlier records), sometimes ends up sounding like ’80s yacht rock (like his last album, Kaputt), and sometimes ends up sounding like his most recent album Poison Season, an almost Sinatra-y collection of string-laden serenades. Maybe it’s a testament to Bejar’s willingness to mix things up with each record that I’m not entirely crazy about every iteration of Destroyer that I’ve heard. Since despite being one of the more acclaimed albums of his career (many say it’s his best), I still haven’t quite been able to get into Kaputt, though I haven’t given up on trying. Unsurprisingly, I’m a much bigger fan of the more electric guitar-based sounds of Destroyer’s earlier albums, while Kaputt feels just a little too light and airy for my tastes (which I get is kind of the whole point of that album, so maybe this one’s just one me). Poison Season, while similar in tone, I find a little more enjoyable, because even though it is persistently soothing (save for the exuberant “Dream Lover”), Bejar’s ear for melody remains willfully intact, and the album’s orchestral approach supports it quite nicely. I’m also realizing I might not be connecting with this album as much as I should be because I may have bought it in the wrong format. You see, I bought this thing on CD for one because my dumbass internet/cable provider (you can probably guess which dumbass internet/cable provider) bitched me out for torrenting recently, and also because CD is cheaper than vinyl obviously. But since the car is the only place I really listen to CDs, Poison Season has for the most part been driving music for me, even despite the fact that it’s probably not great driving music. Much like Sinatra’s In The Wee Small Hours, this strikes me as an album that probably holds up best when you’re in your room alone late at night before going to bed, and the more I listen to this album in that context, it starts to make a little more sense to me. Whether I’ll be able to completely crack it open remains to be seen, but much like the rest of the Destroyer catalogue, I guess that’s just all part of the game. Beach House pretty much always tend to sound like Beach House. 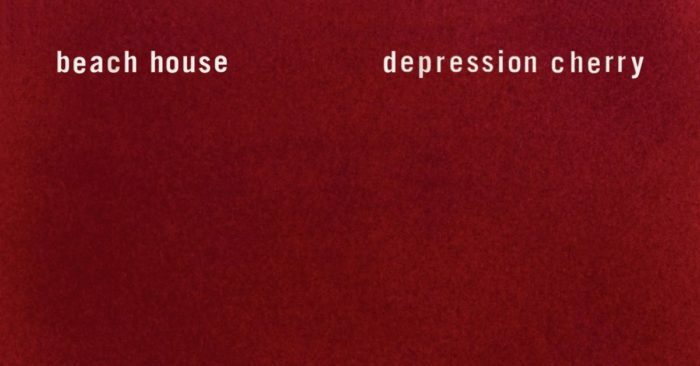 This is both an irrefutable fact, and the idea upon which your enjoyment of the band’s new album Depression Cherry will most likely hinge. Because five albums in (not all of which I’ve heard admittedly), it seems pretty clear that this band is not ever going to change its sound too much. However, they don’t really need to since their sound is so singularly unique, much like a band such as, say The National or mmm… actually, I don’t know that there are really that many modern artists that fall in to this category. But basically what I’m saying is that Beach House are a band that can kind of get away without ever really tweaking their sound in any huge way. And I guess that’s a bit of a rare thing, since as I just demonstrated, it’s hard to think of many band in this day and age that have that ability to sound unlike any other band, since it tends to feel like everything in rock has already been done a million times. Yet for Beach House, just the sound of them being themselves is pretty much always compelling enough. Granted, there are a few modest developments that mark this latest Beach House record as being something other than just another Beach House record. Depression Cherry sees them scaling things back a little bit, as their last album, 2012’s Bloom, captured the band reaching towards almost Cathedral-sized soundscapes that slowly seemed to grow out of no where. Here, we have a bit of a return to a more guitar-based sound, which might be most apparent on the single “Sparks”, which sounds a lot like a My Bloody Valentine song, which is welcome since there are only so many My Bloody Valentine songs. Also, it’s a connection that’s kind of interesting to me, since both MBV and Beach House are bands that would fall into the “so distinct that they don’t need to change” category, though I wouldn’t immediately think of the two bands in the same sentence despite having plenty of sonic similarities. And even though I am enjoying listening to this latest Beach House album, I can’t help but be a little skeptical of where exactly I stand with this band. Because sure, I’ve liked everything I’ve heard by them, especially considering that their last two releases made it on to my top ten albums of the year. But at the same time, they’re not a band I return to a bunch. This doesn’t tend to be the case with most of the albums/bands from the past few years that I really like, and with Beach House it seems like the only time I’m listening to them is in the wake of one of their new albums coming out. Maybe this has to do with the ambient beauty that is inherent in their songs, which are of course nice to put on in the background, but for me music is rarely something I just want to be there in background. But as far as unobtrusive background music goes, I don’t think you can do much better than Beach House, and maybe that’s just the place this band occupies in my musical tastes, and probably always will as long as they manage to keep that lush sound of theirs’ intact. The Peoples’ Albums: #23 Born In The U.S.A. Does John Cougar Mellancamp owe his entire career to this album? I really don’t know, since I don’t know all that much about John Cougar Mellancamp, and I’m not sure I ever will. But anyways, let’s talk about Bruuuuuuuuuuce! 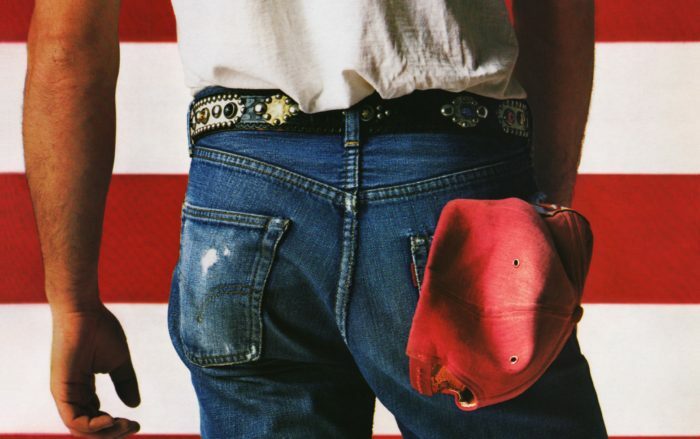 Album: Born In The U.S.A.
Can you feel it in the air, when the music’s playing? People everywhere are saying franchises, franchises. This year was and will go on to be one of the biggest franchise years ever, with Jurassic World making all the money, Marvel putting out a hit and a half, Terminator, Mad Max, and a million other things. 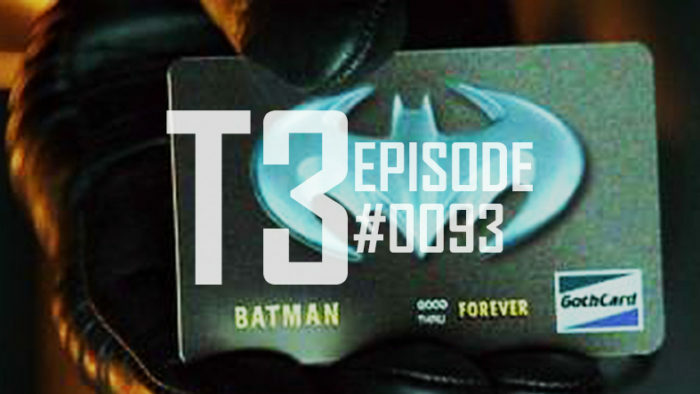 But which movie franchises are the best? No one knows, but here are our favorites, in on nice 2 hour conversation. I hate to take the route of one of those critics who think they have a perfectly firm grip on whatever a director’s intentions and artistic goals are, when I doubt any creative person ever really knows what they’re setting out to do when they make something. But I think at this point you can look at director Noah Baumbach’s career in a fairly clearcut set of phases, that probably each have something to do with his personal life, but I’d rather not get too deep into that (since of course it’d all be pure speculation). His early work for example, seems to have a vivid sense of the kinds of smart, undisciplined characters he gravitates towards, though with these movies I’m not sure he’d found his own distinct voice as a filmmaker (I’m basing this entirely on my viewing of Kicking And Screaming by the way). Then with The Squid And The Whale, Baumbach clearly kickstarted a second phase of his career, marked by not-necessarily-difficult-films centered around decidedly difficult people. Then seven years later, there was the breakthrough of the effervescent Frances Ha, which marked Baumbach’s first collaboration with his, I guess I’ll just say muse (even though I’m not in love with that term) Greta Gerwig in the position of writer/star/beacon of optimism. With this latest film, Mistress America, coupled with the also-from-2015 While We’re Young, it has become clear that Baumbach is clearly in the middle of his lighted-hearted comedies centered on people in crucial points in their lives/careers phase, and is further proof that there’s nothing wrong with a non-grumpy Baumbach. In Mistress America, Lola Kirke (the sister of Girls‘ Jemima Kirke) plays Tracy, a first year writing major going to college in New York City, and yet despite discovering the social aspects of college in the most bustling city in America, has a hard time connecting with anybody. This hit considerably close to home for yours truly as far as my first year of going to school in San Francisco panned out, though sadly I can’t say I ever found my Greta Gerwig. Tracy, however does find her Greta Gerwig in the form of Brooke (played by Greta Gerwig, obviously), as their respective mom and dad are about to be married, and the two of them strike up a friendship that sees Tracy being drawn into the world of Brooke’s confident thirtysomething go-getter lifestyle. The style of Mistress America is entirely different from the black & white and nearly plotless Frances Ha, as the first half hour or so of the film has such a tight, kinetic nature that it almost feels like one giant extended montage. Combining that with the film’s glowing and warm depiction of New York and a great recycled ’80s synth-inspired score, it feels very much like a film of the moment, and yet at the same time it doesn’t. Because both Tracy (age 18) and Brooke (age 30) rest just on the periphery of what could definitively be considered millennial status, it never quite feels like the film is trying to nudge you into thinking it has something important to say about the 2010s, like say, Baumbach’s other film from this year. The film, also much like While We’re Young, is a great deal funnier than I was expecting. In addition to Mistress America‘s nimbleness narrative-wise, there’s a good deal of fast-paced banter, some of which is dry and witty, and some of which is silly in a way that never really feels silly because it’s coming from the mouth of a smart, fully-formed character. Things even head into near-farce territory when the movie shifts from it’s New York home-base to a Connecticut getaway, which sees Brooke chasing down her old nemesis while asking for money for her restaurant from an old flame that has conveniently married this nemesis. It’s a sequence that probably could make or break the movie for a lot of people, as it features a lot of hilarious one-liners and side characters that could potentially undercut whatever pathos the movie is going for. However, it ends with a revelation that doesn’t go exactly where you think it would go, and I think effectively holds together what has been happening between Tracy and Brooke this whole time. Like a lot of indie comedies of this sort, I think what does ultimately make Mistress America successful is its ability to sidestep any sort of conventionality or predictability, but while still embodying the universal subject of being a young person without a clear sense of direction. Also, I think it’s a film that, much like Frances Ha, succeeds because the tone of it stays so true to what the character at the center of it represents. Gerwig’s Brooke is all surface-level and shiny, with a profound quip at the ready and a clear sense of purpose, while the film also consistently feels that way. Yet underneath, much like Brooke (and Tracy for that matter), there is this relatable hopelessness that keeps the film (and its characters) from ever feeling even the least bit irritating. Which is quite a feat for a director who just two films prior seemed like he was willfully irking his audience into hating his characters, though I do have to wonder if there is some new phase in Mr. Baumbach’s career waiting just around the corner. Be sure to check out our favorite things by browsing all our ★★★★★ Reviews and the opposite of that with our ★ (or Less) Reviews.